Situated between two gravestones inside Lincoln Cemetery in Atlanta is a bright green patch of grass—no gravestone, no name, no date. “I'm just not ready to see her name on a headstone with an end date. I'm just not. I'm not ready to do that,” Katara Hamm said, with tears streaming down her face, about her daughter’s grave site. In the shadow of downtown Atlanta, a secret is tucked inside a quiet Fulton County community. 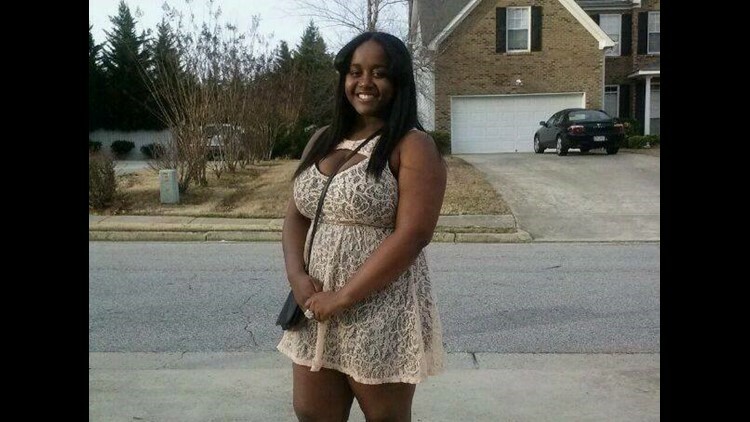 Just behind the front door of her grandparents’ College Park, Ga., home in an easygoing neighborhood hanging on the edge of a wooded backdrop, 17-year-old Randisha Love was murdered. 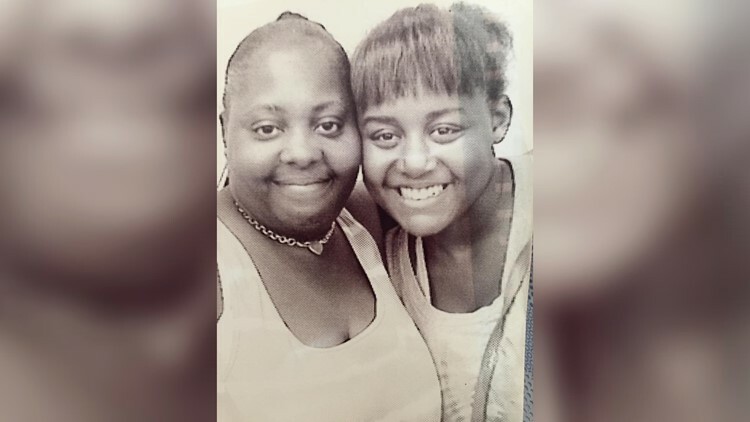 Hamm, 40, found her daughter when she came home, shot five times in the face and torso on Tuesday, Jan. 12, 2016. Without closure, answers and an arrest, it’s a sight she is haunted by every single day. The ending to Love’s story remains a mystery for police since nothing was taken; she was not sexually assaulted; there were no signs of forced entry—no obvious motive for her murder. "This pain is an explainable pain that I feel every day and I just can't even explain the way I feel because I'm just so hurt; and I'm angry because they felt the need to take my daughter's life and there's no reason that they could tell me why they did it. And I will never understand it. Never. Never. Never." 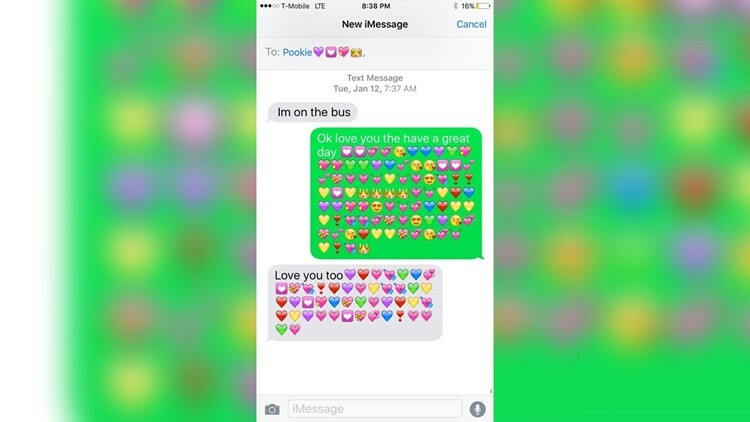 The brisk Georgia winter day started like so many others with a text to her mom at 7:37 a.m.
“Ok love you the have a great day,” followed by dozens of heart, crown and kissing emojis. More colorful emojis close out their conversation. Love taught her mom how to use emojis, she giggled. It was almost like a secret language between them--adding that extra touch of love and hugs and kisses. Hamm looked forward to getting those text messages from her teenage daughter each day. But, now, every day that her phone remains silent, sans pings to indicate she's received a new text message, is a day that her heart breaks a little more. That day in 2016 that started with heart emoji-filled text messages, would end in a way that would shatter her mother’s world and baffle detectives. Love was the second oldest of four children and her mother’s only daughter. She and her family had just moved with her grandparents in College Park—that meant a new school, new neighbors and new friends for Love and her two of her three brothers--one was already in college. She was a junior at Westlake High School. But one staple in her life was ROTC. She could not wait to join the military, especially because she knew it would save her mom money for college. “She was like, ‘Well, when I join the Air Force, I'm going to go because they say it will help me pay for my college as well as for my younger brother. So, mom, you won't have to worry about what you just went through with my brother, with sending him to college.' She said, 'Don't worry, I got you.' And those words will forever stick with me because I know that all she wanted to do was help people,” Hamm said. At 4:30 p.m., Love called her mom to let her know that she was home and in the house. They talked for a few minutes and shared a giggle or two. "We were laughing with each other, and I'm happy it was a laughing conversation. I had bought her a burger or something to eat when she got out of school the next day, but my son ate it and she was like, 'I'm gonna get him,' and that's what we were laughed about.... because he would always eat her stuff." The call ended with, "Love you, mommy." "I love you too," Hamm remembered saying into her phone. But, Hamm could have had no idea that that would be the last time she would ever talk to her daughter. When Hamm got off work at 7:30 p.m., she went to pick her son up from his basketball game and stopped to get some Wendy's for dinner. She called Love, but with no answer. It wasn't too strange for her daughter not to answer, however, because she had been known to listen to her music with ear buds in and would not hear her phone ring, Hamm said. They pulled into the driveway around 9 p.m. It was dark and quiet. Nothing seemed out of place. "When I got home, everything seemed OK," Hamm remembered. The door was shut, but unlocked, when her son went into the house ahead of her, while she got some things out of the car. "When I came into the house, I didn't really remember her opening the door," she said. As Hamm stepped inside the house, she began calling out for Love. "I'm calling her name, calling her name—and he was looking at me with this blank stare. He was like, 'Mom, she right there.' And I looked down, and, literally had I taken another step or two, I would've tripped over her,” Hamm vividly recalled. Love was face down in a pool of blood just inside the front hallway--just steps inside the door. “I looked down, and I see my baby,” she said through tears that quickly fill her eyes. She covers her face with one hand, then uses both to wipe her eyes before tears can fall down her cheeks. “I just see her laying down in a puddle of blood and I ran around just to see, you know, and at that point, I don't really remember because I just lost it." The teen, who was wearing a jean jacket over her gray sweatshirt, with gym shorts and whimsical gray-striped and polka-dotted socks, was lifeless. Her ball earrings and gold watch were still on her body, as was a pack of gum. 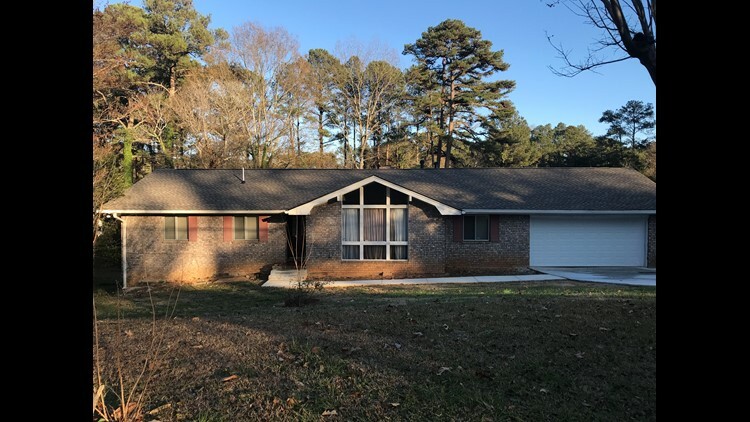 "My son and I ran out of the house because we didn't' know if anybody was still in there, or we just didn't know what... it was... it was just like, it was a bad nightmare,” Hamm said, who then called 911. “Ma’am, she was laying on the floor and I saw blood and I ran out,” Hamm said to the 911 dispatch operator. “Was she breathing?” the dispatcher asked. The now-crime scene began growing crowded as the ambulance and police arrived. 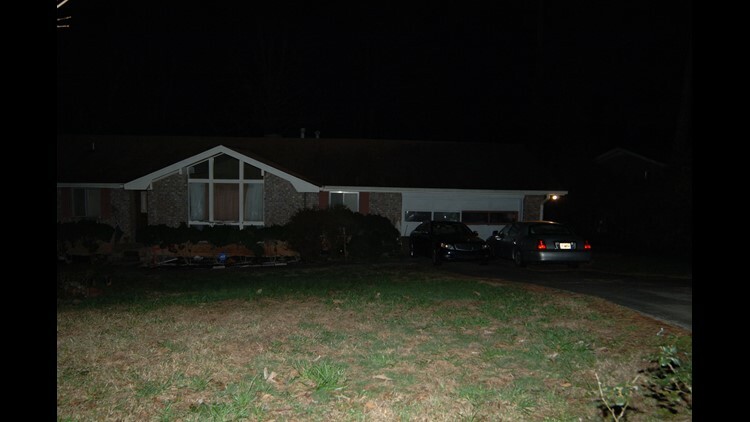 The flashing red and blue lights reflected off the tops of the tall pine trees behind the house. “The hardest thing for me, that night, was when I saw that ambulance go in and come back out with an empty...” she said crying, wiping her eyes. “…with an empty stretcher, because I knew at that point that she was gone." And Hamm doesn’t have the solace of knowing what happened to her. "For whoever to take her life--especially in the manner of what they did--it was just cruel. It was just so cruel,” she said with tears streaming down her face. “It was just so cruel." "Every day, I cry, every day. Some days, more than others." It's been an unimaginable, gut-wrenching two years for the mother of four. And not a single day passes without shedding tears, thinking of how she found her daughter that night. "When I lay down and close my eyes, that's the sight that I see, literally every night. That's the sight I see. I have to kind of shake myself. And some nights I don't sleep, because I don't want to close my eyes and see that sight," Hamm said. When Chris Brown's newest CD, "Heartbreak on a Full Moon" dropped, Hamm immediately swooped it up the first chance she got for her daughter and best friend. Brown was Love's favorite singer, and it was something that the inseparable mother-daughter duo would have done together, as shopping was one of their many shared hobbies. "My life is at a standstill right now. I'm trying to constantly pick up the pieces, because I'm sure she's probably in heaven, like, 'Mama, if you don't just put on some clothes and just go and smile somewhere...' Because that was the type of young lady she was. And some days I laugh and I'm like, 'Randisha... OK, I'm gonna do it." Following her daughter’s tragic death, she still bought her Christmas presents, like the CD, because she just couldn’t bear to see an empty spot where her daughter would sit next to her brothers opening presents on Christmas morning. The holidays were always a special time for Love, especially since her birthday was also in December. "She loved all the holidays... one thing about Randisha is she loved family." If you're not able to get me everything I want on my Christmas list I’ll be all right because your doing the best you can to take care of us and get us the things we want on our list. P.S. BEST Moma in the world!!!!!!!!!! "It was really, really hard. I still went Christmas shopping for her as if I would do any other time. It was really, really hard. I think it was more so, harder, coming on Christmas Day, because it was like, I didn't know how I would feel. it was just so hard not seeing her." At Christmas, each of her kids had a section on the couch for opening gifts. And she couldn't fathom leaving Love's empty last year. Instead of having her there in person, a large framed photo of Love from her last birthday sat on the couch in her place. 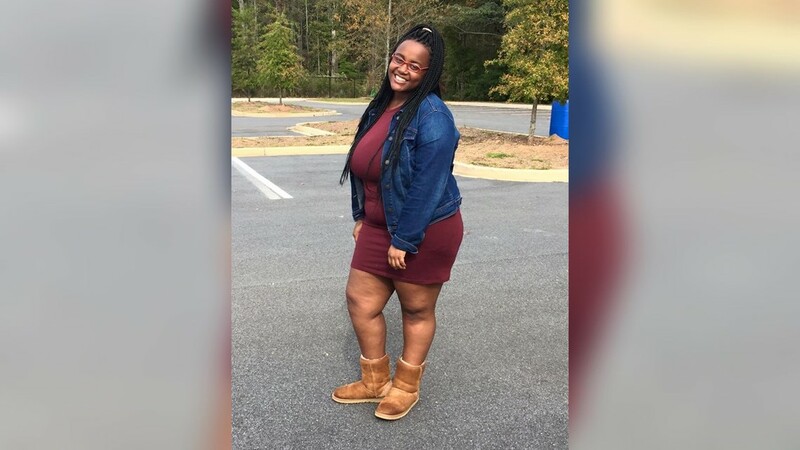 In the photo, she was donning her 17th birthday outfit: fur-filled, red leather UGG ankle-high boots, a black skirt and a white, black and gray fur vest over her black shirt, the photo was completed with her big smile and long, black braids cascading down her back and over her shoulders. Love’s hunter green sweater stocking with a large white R stitched on it was hung with care, with two blue and white candy canes protruding from the top and hooked to the lip of the stocking. Hamm had wrapped her daughter’s gifts in shiny, gold wrapping paper and tied them with bright red bows—a sampling of all her favorites: PUMA shoes, a Victoria Secret’s PINK pants and jacket set, body spray, color jeans and her favorite movie, “Matilda.” She loved seeing her children open their gifts Christmas morning. 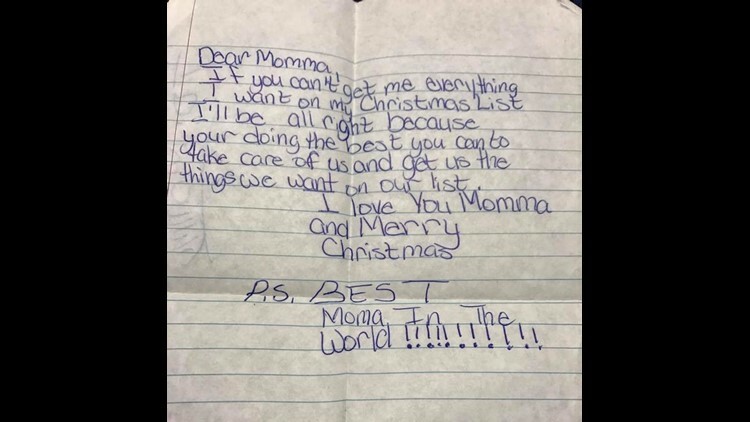 But that first Christmas without Love, all Hamm had was a video of her daughter unwrapping her gifts from the Christmas before she was killed. She watched the video all day. "I don't want to face the fact that she's not here, but I just wanted to be like it was the same." For what would have been Love's 18th birthday last December, Hamm went all out. Love had been so excited about her upcoming adulthood and celebrating with everyone who loved her. So, they did just that. They celebrated her life with a birthday cake, complete with royal blue icing and black, polka-dot trim, light blue, sparkling butterflies and a picture of the city of lights: Paris. Across the yellow cake was white cursive letters spelling: Happy 18th Birthday Randisha! And above her cake were block letters in lights spelling: LOVE. "It was amazing. I know that she would be very proud... It was a celebration of her life. I told everyone, 'We're not going to be sad; we're just going to celebrate,' and that's what we did," Hamm said. Love’s case may be unsolved, but Lt. Roger Peace, an investigator with the Fulton County Police Department’s Major Crimes Division, said they may be closer to a suspect than ever before. "We've developed some new information and we're pending the results of information that we have subpoenaed. And once that information is received by our office, it will hopefully give us a direction to go,” he said with confidence, but careful not to divulge any crucial details. "We're waiting with great anticipation for this information to get back to us." In the meantime, he said, there isn’t a lot for them to go on. "There are no witnesses... so, all we know is, that the mom came home and found Randisha Love lying in the foyer of the home. And, we learned she sustained and died from multiple gunshot wounds," Peace said. No suspects have been identified, however, they have ruled out any immediate family, he said. 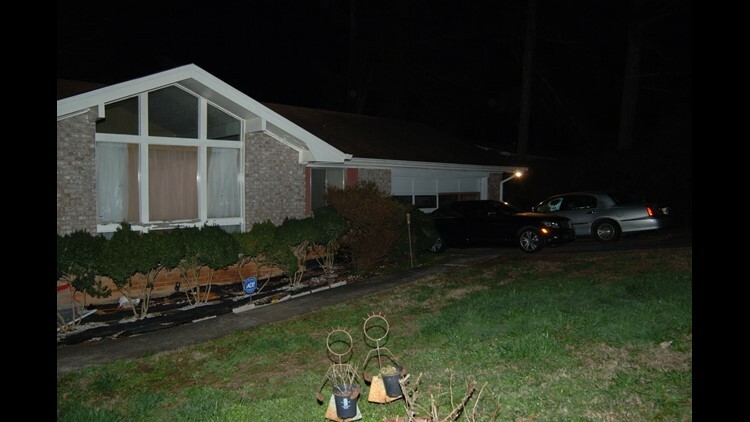 "Right now, it would be speculation of whether it was somebody trying to break into the home or found the front door unlocked, or did she open the door for somebody that she knew? It's just unknown at this time." According to Peace, her phone records indicate that she made two phone calls that day. One to her mom when she left her house and another to her mom when she was home. “That would tell me that was somebody, who basically, kept to themselves," he concluded. The subdivision she was living in with her mom, brothers and grandparents, wasn't a high-crime area, the investigator confirmed. No neighbors recalled hearing any gunshots that day. "We believe this happened during the time frame when most people would still be at work," the investigator said. The medical examiner’s autopsy report showed that at least three medium-caliber, yellow-metal bullets were recovered from Love’s body. The cause and manner of death isn’t the mystery, however. The motive is. "It's still unknown of what the motive may have been or what transpired. 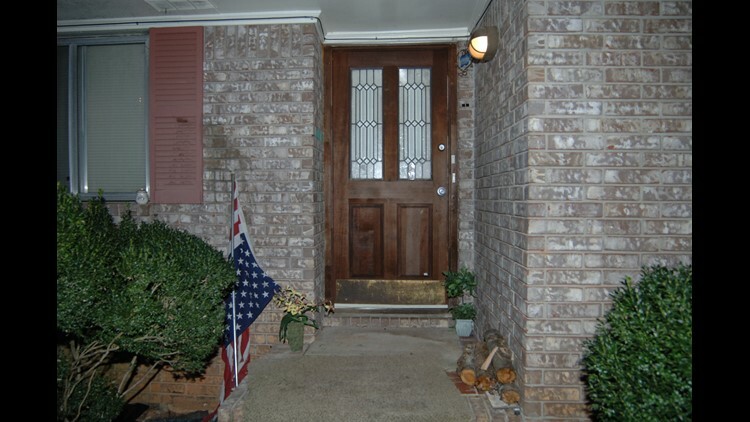 Either she opened the door for somebody she knew from school or the neighborhood, or it was somebody who gained entrance to the house—either she didn't lock the front door or she opened the door and let them in, or she opened the door and the forced entry." “It's tragic. It's a tragedy that such a thing happened to such a low-risk person... to be a victim of a violent crime,” Peace said. “Randisha was very well-liked by all of her classmates. She had plans to join the military; she was an honor student. This was a kid, who... we didn't find anyone that knew her at school or the neighborhood who said anything negative about her." “Waking up every day without her, not hear her voice--just, when I open my eyes, I hope that I'm waking up from the nightmare I'm in,” Hamm said. "Just waking up every day without her... just to breathe without her is hard." "Literally, living every day without her..." is a challenge for the single mother. Simple tasks that most would take for granted, like when she orders food for her family and only orders three burgers instead of four, it makes her cringe and remember that she doesn't need to order a burger for her daughter any more. While police have told her that they are still searching for who did this, she made a plea of her own. "We just need the public's help at this point to help solve this case, because whoever this is, they have no heart. For them to just leave my baby just like that... that was the worst thing that a mother could ever see," Hamm said sobbing. "I know when this person or persons is arrested, it won't bring her back, but to me, she'll rest a little easier. It'll bring me closure." A firm believer of God, no matter how, she said, she may feel about the person who did this to her daughter, Love would have forgiven them. "She would say, 'You know what, mommy? I forgive them.' And I know she'd ask me to do the same." But Hamm said, she cannot bring herself to forgive whoever took her daughter from her. Not yet. "I can't, I can't say that right now. I can't say that right now." But she hopes that her story will save someone else from the same heartbreak. "I wouldn't want any other mother to feel like this; and if my story can tell the next person, before you think about killing someone... you don't only kill that person. You take away the life of everybody that was close to that person. This took something out of everybody." "A part of my heart to me is gone. I think I skip a heartbeat every time because I miss her so much. It's hard for me to breathe because I know she's not." 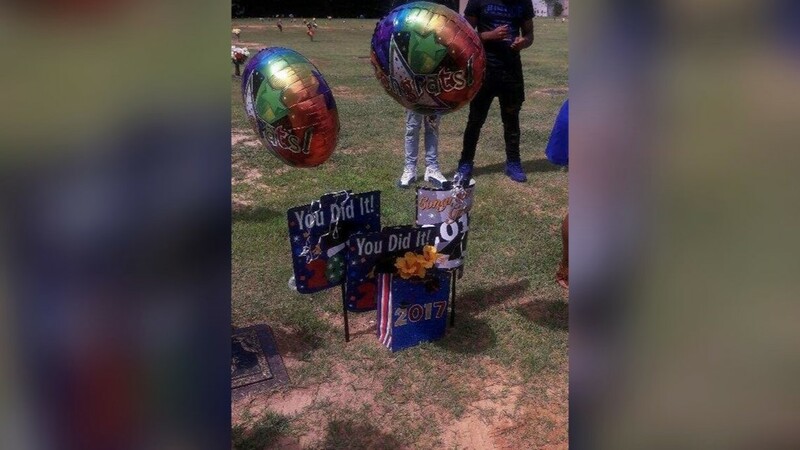 These days, Love’s family celebrates her milestones, like her graduation, graveside. It’s where they can gather and be with her. Last spring, balloons waved in the wind and bounced gently off each other, next to signs cheering, "You did it!" for her graduation party. “I still try to do things to honor her as if she were here—you know, some of the things that her and I had planned on doing... I haven't been able to do everything, but I'm still trying to do some of the things as if she was here,” Hamm said. Instead of shopping for a prom dress with her daughter, Hamm is reduced to visiting Love at the cemetery to talk to her. But it’s not easy to face her absence, and the raw emotions boil to the service with each passing day that her daughter’s death remains unsolved. “Oooh, I love you, baby girl,” Hamm sobs, talking to her daughter at the cemetery. "I just miss you so much. I want my baby. I want my baby." She promises Randisha that she will return the following Sunday for her 19th birthday. Within seconds, tears are racing down her cheeks. With her mom and nieces by her side, she cups her face with her hands and sobs loudly. She uses both palms to wipe her entire, tear-filled face. 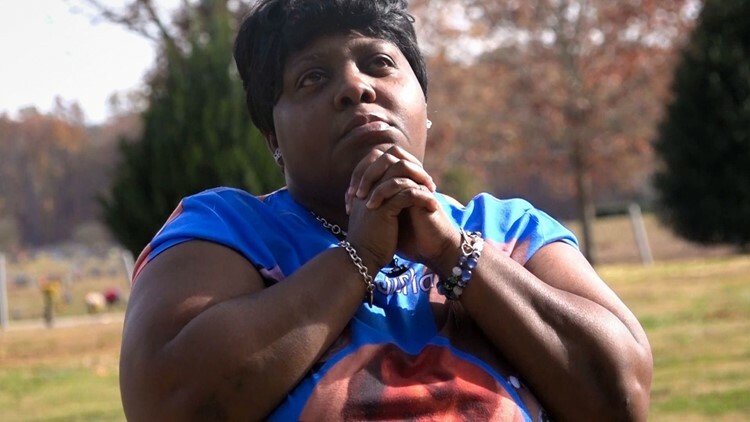 “I miss you so much,” she tells her daughter, whose face is largely displayed on her T-shirt's front and back--keeping her Love and her memory alive. Through her tears, Hamm, who now has her daughter's first and middle names scrolled on her forearms with hearts and a crown, makes another promise to her daughter that she wholeheartedly intends to keep. “We got you 'Disha. We're still seeking justice. Can't stop. Won't stop. Justice for Randisha. We won't stop until we get it,” she whispers under her breath. When her daughter's killer is caught, Hamm believes that she might finally be able to close her eyes and not see her daughter lying on the floor dead. 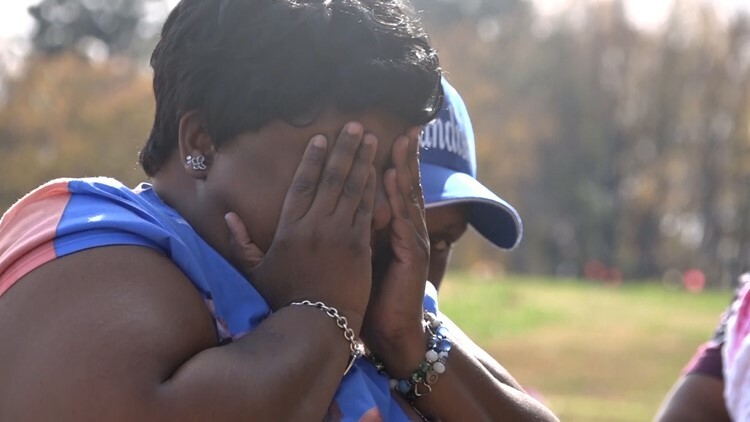 If you have any information about Randisha Love’s murder, call the Fulton County Police Department, at (404) 613-5700 or CrimeStoppers, at (404) 577-TIPS, or visit, http://www.crimestoppersatlanta.org/. For more of Georgia's cold cases, visit 11Alive's Cold Case page. Gone Cold is an ongoing series, where 11Alive Journalist Jessica Noll investigates some of the most infamous and lesser-known cold cases in Georgia. She's digging for answers for the still-grieving families who long for them, and for the victims who have never found their justice. 11Alive Journalist Jessica Noll spent several days interviewing law enforcement and family to journalistically gather every aspect of the story possible. She investigated the cases, sifting through public records, court documents, police reports and photos. This story is written in a narrative-style, long-form and was methodically reported in order to obtain each detail of the Kuria case—revealing what happened to Jane Kuria, her two daughter, son and nephew on Aug. 1, 2007. Join our "Gone Cold" Facebook group and join our discussions about cases like these, at https://www.facebook.com/groups/gonecold/.